Owners’ passion for secondhand bulk carriers cooled down a bit with lower transaction volumes this week, while interest for feeder boxships proved a steady trend. “On the dry bulk side, buying appetite scaled back down considerably this past week, with the number of transactions coming to light being limited to a single digit for the first time after a long while. Despite this, the overall buying interest seems to still be at relatively high levels and it seems as though this recent pause in activity may well be more so due to the shifts being slowly noted in terms of pricing, with most negotiations trying to keep up with the shifts in the market sentiment,” Allied Shipbroking said in its latest weekly report. Multiple shipbroking houses reported the sale of the 2007-built supramax bulker Nandini. Lorentzen & Stemoco and Allied Shipbroking identified the buyer as Greek owner Seastar Maritime Management. The 56,071 dwt vessel has fetched a price of $12m. 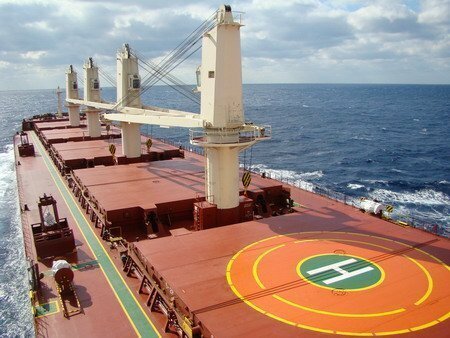 More than five shipbroking houses listed the sale of 2007-built handysize bulker Northern Light. Greek owner Vassilis Dalacouras’ Dalex Shipping is said to have acquired the 28,415 dwt vessel from Japan’s Okouchi Kaiun for $7.6m. The sale of the 2014-built supramax bulker African Puffin has been listed by a few shipbrokers including Allied Shipbroking, Advanced Shipping & Trading and Clarkson, while Intermodal revealed that Japanese owner Yawatahama Kisen acquired the 55,863 dwt vessel from compatriot company Nissen Kaiun for $20.5m. “On the tanker side, not much has changed this week, with yet another week characterized by a slow trickle of sales pulling through. The overall environment seems to be experiencing further pressure now, as conditions in the freight market deteriorate further this past week. There is still considerably resistance being felt from sellers in terms of pricing, something that may well be a continual cause as to the lack of sales taking place,” Allied Shipbroking said. Intermodal, Allied Shipbroking and Lorentzen & Stemoco listed a deal that Greek tanker operator Coral Shipping has taken over the 2003-built aframax tanker HS Medea from German owner Hansa Trehand for a price of $10.7m. Additionally, a group of shipbroking houses all listed the sale of the 2007-built tanker Sea Pioneer. The 34,700 dwt vessel is sold to an undisclosed buyer in an auction for $10m. The interest for feeders on the containership S&P market remains firm in the past week. Several shipbrokers including Advanced Shipping & Trading, Seasure Shipbroking and Lorentzen & Stemoco reported a deal in which UK owner Tufton Oceanic acquired the 2008-built containership Tasman Strait from German owner Rehder Carsten. The 1,713 teu vessel was sold for a price of $10m.